The Museum Gift Shop is located in the Carriage House building, just behind the Octagon House, and is open to the public during regular Museum hours. There is always something new in the shop as we continually find new vendors with charming offerings. The Shop carries a wide selection of new and vintage items for the home and garden. 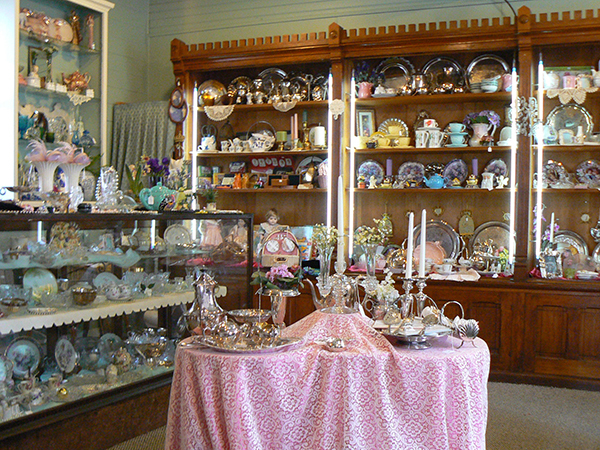 Including vintage silver, china, glassware and linens. You will also find many Victorian-inspired items: wrought iron garden décor, bird houses, tea sets, old fashioned ornaments and a variety of children’s toys. The Shop also has a variety of historical publications. Please remember to visit our carriage house gift shop, brimming with new merchandise. As always, we strive to keep prices down, and all proceeds go to maintaining the museum complex.